Mobile advertising has become one of the most desires advertising platform for internet marketers. Due to the recent developments in online advertising, markets have seen the mobile advertising as huge potentials for getting their target customers. However, not all mobile advertising campaigns are done right due to lack of knowledge by some marketers. Mobile advertising is expected to hit seven (7) billion dollars in 2019. hence it has become one of the most desires advertising platform for internet marketers. Due to the recent developments in online advertising, markets have seen the mobile advertising as huge potentials for getting their target customers. However, not all mobile advertising campaigns are done right due to lack of knowledge by some marketers. With recent shifts in online advertising, it is necessary for marketers to acknowledge how essential mobile advertising has become. Google figure shows that the number of searches online has exceeded desktop. another interesting report by “We are Social” indicates that the number of mobile subscription in the UK hovers around 74.92 million making it a whopping 115% of the total population of UK. There is also a massive increment in the number of mobile advertising campaigns in the recent years, all these confirm the importance of mobile advertising which makes it necessary for marketers to do it right which is why we decided to outline step-by-step process on how to create effective mobile advertising campaigns. Using mobile friendly Ad format is the key for successful mobile advertising, As a marketer, you must know that images have a great look on the mobile phone, taking into account your mobile Ads has to fit perfect on all mobile sizes will be a great way to start your campaigns. consider design Ads that will align with all smartphone screens. We can stress this enough, this is because it is important for your campaign to be seen on all mobile screens, not just a few. the more mobile phones can access your campaigns the better for your campaign. take this seriously. Make it easy for users that are not interested in your Ads to opt-out easily to ensure you respect them. If you have to understand mobile phones are meant for personal stuff either message is sending or receiving calls or do another searching on devices. Brand repute comes first and all of this can be achieved by respecting a potential customer’s decision if they want to dismiss your ads. Putting a cross on noticeable and easy to access location gives freedom to the customer. Up to date data from Quant cast explains mobile advertising should be more relevant for consumers. For example, Retail advertisers should consider personalization or customization factor in their advertising campaigns. For Facebook’s audience using RLSA in Ad words and Google will be a plus point for the advertiser as this will helps to target customers in shopping campaigns. Some great SEM Solutions are also available in the market for help if it becomes overpowering for someone. Expenses on Video advertising hit $20.72 billion in 2016; this trend shows the positive impact of videos in mobile advertising. According to a survey, 90% of online customers find videos as helpful material to final their buying decisions, this means larger screens promote videos more than ever this year. So, if the budget allows then, retailers should consider e-channel for their promotions. Before evaluation of mobile advertising performance, one should consider that on mobile devices clicks are more often accidentally happened. So, one should positively discriminate interaction rates or time spent on ads as critical metrics for analyzing the data. Giving the same attention to the main website will help the customer to find the way for their purchase quickly. Some user does an extensive search for making a purchase order, and some don’t bother and just ready to buy from mobile. Targeting customer preference by ensuring your website is easily navigated is the key to success. Consistent familiarity is the key to an Omni-channel strategy for all devices. How to target mobile ads by location? Make sure to activate geolocalisation option if your products are for specific countries, by enabling this tab you will always get right audience for your ads. There are many channels which allow you to specify your location target to precisely target your customers such as Adwords, Google Shopping, and Facebook are some examples. How to control mobile ads frequency? The timing of ads impacts both positively and negatively. Generally, brand awareness, a specific time frame is suitable in which people are watching your ads but seeing ads, again and again, is not an ethical principle. Users should see the ads after some interval, so they develop some interest in your ads. Users, not responding to your advertising should see less number of your ads as this strategy may become pricey in the long term. Do make sure that landing pages are mobile-friendly for your potential customers to browse when they clicked on your ads. Correlating landing pages with actions will give you more customers. E.g., if you advertise flip-flop, then the user must see these items on landing pages as quickly as possible rather than tons of summer clothing items. Playing with different formats in mobile advertising can affect your campaign. Formats should be co-linked with your strategy and objectives. Experimenting with videos, natives, banners and interstitial mobile advertising gives you positive response as there is no saying to stick on one format. How should you choose a mobile advertising platform? Before choosing a platform for advertising, one should analyze the targeted customers as there are many platforms but to select the right platform is the key to success. Ideally, Google AdWords (or Google Ad word Express for Small Business) is the best choice for those who are familiar with this port. As this engine provides all customization options for advertiser either its location base or time base, time and days, etc option are also available on this platform. For mobile advertising Google Adwords is manifest. Another way for effective advertising is to use social media. Twitter, Facebook or Instagram are the primary channels for social networking. Those who are familiar know the positive impact of these channels. Social networks successfully adapt this strategy for targeting customer majority; even Facebook also launched full screen and Canvas advertising medium to make it more interactive for both of client and advertiser. Adsterra, Adstage, and Undertone are some renowned platforms for advertisement who offer more features for your advertisement which are unavailable on other platforms. They take the groundwork for your advertising and offers enhanced features. For example, Adbrite is the one who reduces cost and through its feature calling “click assurance” enables clicks verification by prompting users for accidental clicks which eventually improves the traffic quality of your ads. It is most likely some of you have engaged in mobile advertising campaigns before or either thinking of starting mobile advertising. Neither ways, share your experience in the comment section to help others or even suggest ways we can improve this article if you feel you can. We wish you good luck with your mobile advertising campaigns. Mobile Advertising tips needed by online marketers is what we set out to provide in this blog post. Since mobile advertising has become one of the most preferred advertising methods for internet marketers. It has been estimated that over 70% of online advertisers have used some form of mobile advertising. It has become very important for internet marketers to target potentials customers using mobile ads. This is because almost all the types of mobile advertising are known to be effective and cheaper. 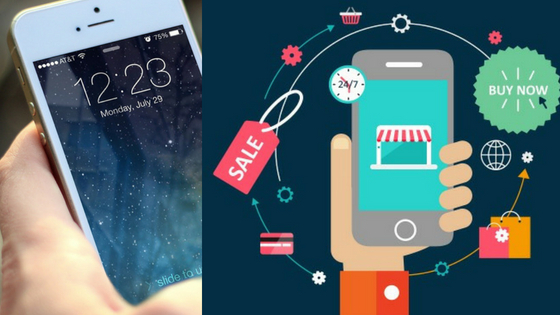 In this article, we are going to review the best mobile advertising tips to boost your campaigns. I would like to make things very simple here by saying, mobile marketing is a marketing strategy that is aimed at reaching a target audience through their mobile devices such as smartphones, Ipads, tables etc through websites, mobile Apps, SMS, MMS, social media, emails and so on. It might surprise you to know that the number of searches done on mobile has surpassed desktop since 2015 according to Google. also, more than 80% of internet users have some sought of a mobile device that is connected to the internet which makes mobile marketing even more important. Effective mobile marketing is the process Or if you like, the strategy of creating and sharing content to reach your targets audience through their mobile devices. This might be separated into various forms such as mobile advertising which includes, banner ads, text ads, interstitials also known as full-screen ads. Others include crafting content, emails, social media images and text, In apps content that will be attractive and engaging on mobile devices to increase engagement and conversions. Do not forget you have to take into consideration while creating content for mobile users the size and length, position of such content should be considered. If you are into online marketing or online advertising, you know probably know that having a mobile-friendly website is no longer an option but a must do for your business. Since 2015, Google made mobile friendly-website as a ranking factor considering the search volume that comes from mobile search. Is that surprising to you? please don’t say yes cause am about to show you something very important. Let’s just see some of the reasons why you need to make your website mobile-friendly. 40% of mobile users left websites which takes longer 3 seconds to load. These statistics are centered on website speed which is one of the key factors of mobile-friendly websites. To check out the speed of your website, use GoogleSpeed Insights to see what you need to fix to improve your website speed. Mobile App Marketing is another great form of mobile marketing using mobile Apps to attract and convert your potential customers or users to loyal customers or mobile users. It has great potentials to really affect your marketing efforts as a company or an individual. If we consider the number of people using mobile Apps you make purchases in the last few years, the numbers are huge and growing which present a great opportunity for your business to start using mobile App marketing to attract more customers. Since we have covered some of the basics about the confusing terms, Let’s look at the types of mobile advertising you should be running as an online marketer or an advertiser. You should take into consideration to make it responsive and also should not be placed where the mobile user will still be able to access their information. We recommend placing banner ads at the bottom of the mobile but at the same time, it should be attractive enough for mobile users to see it. 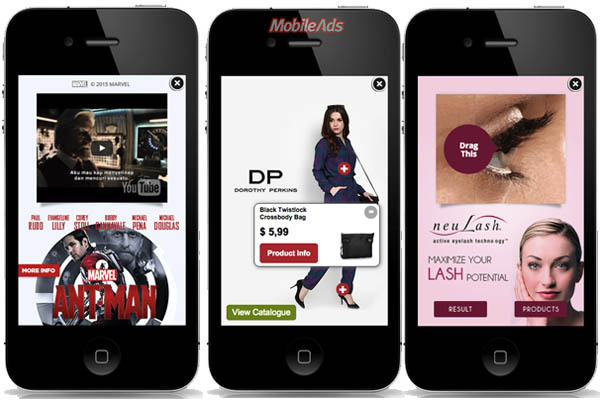 mobile native ads are great ads format that is designed to blend with the content or mobile apps. these ads look as if they are part of the content or mobile App. Mobile interstitial ads also know as full-screen ads that cover the mobile screen mostly when user spend some minutes on Apps. These ads have great potentials to capture mobile users attention and increase conversions. Mobile interstitials have very high click-through rates simply because the user in most cases will have to manually close those ads before carrying on using their App. 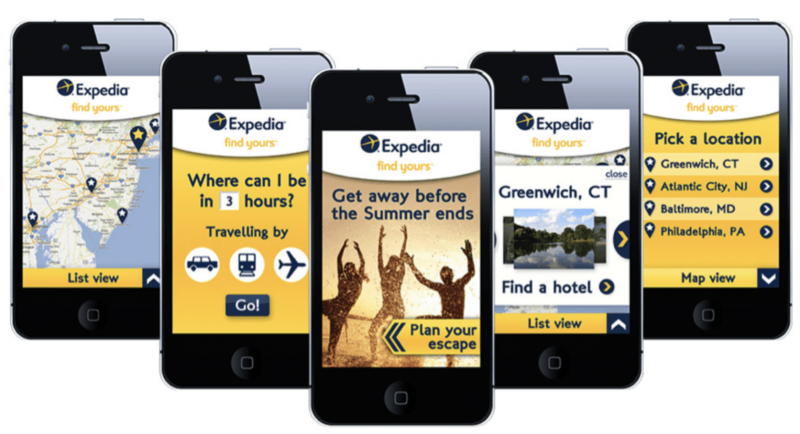 Mobile interstitial Ads comes in forms of images, video Ads. We advertiser online marketers not to overuse mobile interstitial ads in order not to discourage mobile users using those Apps or mobile content. Mobile video ads also made our list of mobile advertising tips because they are a great way of targeting and converting mobile users. 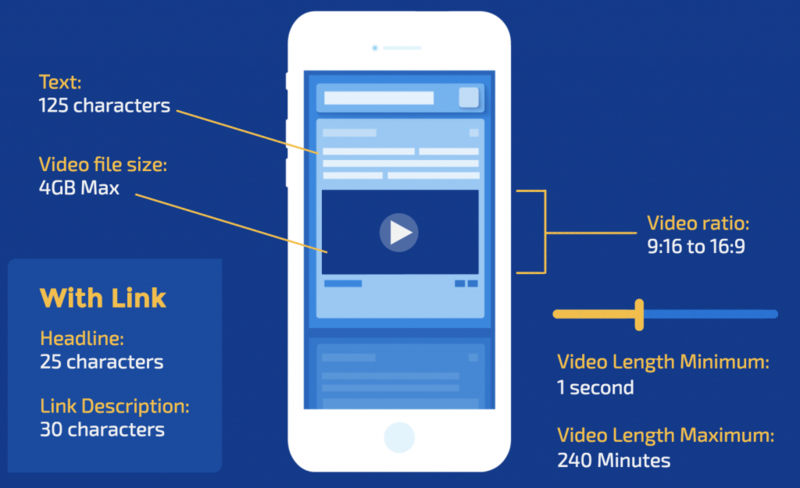 The fact is, mobile video ads are known to be less distractive compared to the banner and interstitial ads. Mobile users are known to pay more attention to video ads even more than the desktop video ads. Video ads can be used on mobile devices easily both in Apps and websites to capture the attention of the audience. The cost of video advertising is expected to hit 7 billion dollars in 2019 because of its potentials to increase conversion rates. We advise that make video Ads that are simple to understand with a clear and concise content both visually and in sound, be creative and reward in your video ads. We can’t make a list of great mobile advertising tips and forget to include rich media ads. This another great form of mobile advertising that helps you stand out among your competitors when advertising on mobile devices. Mobile rich media ads use videos, texts, audio, mini-games, and images in the best way possible to stimulate brand awareness and increase conversion rates. media rich ads in their nature do now interrupt mobile users or discourage to quit sessions which is another plus and a reason you should try out mobile media-rich ads. We now encourage you to take action and start mobile advertising with AdsTargets Ad Networks. We have great in-house built tools to enable you to excel in your mobile advertising campaign. We also have experts who are willing to guild you through the process of creating great mobile advertising campaigns to make sure you achieve your mobile advertising goal. The world of advertising has many ups and downs but most importantly, it has been known to be extremely beneficial for marketers around the world. For newbies, Advertising is nothing short of an industry that is riddled with complected terms. These terms make it difficult to understand the differences between Advertising Networks and how to use them effectively. It is the duty of experts within the industry to make it easy for Advertisers and Publishers to understand the key terms and how to use them effectively. In this article, we state and describe all the types of advertising Networks. Advertising Networks which is also known as “Ad Network” are online advertising technologies that make it easy for Advertisers to create and distribute Ads to publishers Ad spaces. This simply means, Advertising Network simply connects Advertisers and Publishers for easy advertising and monetization. One could simply say, the main function of Ad Network is to aggregate publishers inventory to fit advertisers demand. On the other hand, Advertising Networks provide advantages to advertisers as it enables them to create and target their Ads to a specific audience while at the same time, advertisers can track their results through impressions and clicks, video average watch time. The flexibility the system provides for publishers and advertisers is the simply the connection that benefits each party. What is Mobile Ad Networks? Mobile Ad Networks work just like any other typical Ad Network, the difference is that these type of Ad Networks put more emphases in targeting only mobile traffic, these traffic are traffic that is generated only from mobile Apps, Mobile search results, mobile display Ads etc. The advertising industry has seen a massive change since mobile phones became smarter, the advertising industry has done a great job of utilizing mobile device users and the results are fantastic. Mobile Ad Networks give advertisers to target specific mobile audience. For instance, markets advertising Apps could use mobile Ad Networks to target only mobile user who is mostly potential customers. it makes sense to use mobile ad networks as all types of ads can be displayed or shown on mobile devices such as banner ads, text ads, interstitial ads, In-App Ads etc. What is PPC Ad Networks? Pay per click (PPC) which is also known as Cost per click (CPC) is basically an Internet or digital advertising model used by Advertising Networks. This makes PPC Ad Networks be Ad Networks that specifically use only PPC pricing model for their adverting. The Flat rate PPC: This model of pricing specifies that the advertisers and the Ad network or the Publisher agrees on a flat rate price per clicks generated. For instance, the advertiser and the publishers may agree on 0.5 per each click generated. In some cases, Ad Networks or the publisher will charge based on each Ad space on the webpage. Bid-based PPC: In this model, several advertisers compete against each other in an auctioning system hosted by the Ad network. The advertisers set the maximum amount they are willing to pay for each specific ad position on the publisher’s web pages. Keywords are often used to enhance the target while the auctioning system is triggered automatically each time a visitor triggers the ad position or spot. What is CPM Ad Networks? First I will like to explain what is CPM in the simplest way, Cost per impression (CPI), also known as Cost per thousand impressions (CPM) is an advertising pricing model which pays the publisher a fixed amount for every 1000 impressions or page-views generated. After understanding what CPM is, it will be easier to understand what CPM Ad Networks is which is, Ad Networks what specifically use this type of pricing method for both advertisers and publishers. Some publishers prefer this pricing model due to its flexibility. The calculation of CPM is taken from the set advertising cost and the number of impressions which expressed as Cost per impression ($) = Advertising cost ($) / Number of Impressions (#). Total cost for running the ad is $15,000. The total estimated audience is 2,400,000 people. Effective Cost Per Mille (eCPM) is a measurement system used by advertisers, Advertising Networks and Publishers to estimate the actual value of advertising cost. eCPM is calculated in the following manner: Cost-per-Click (CPC) auction calculated by multiplying the CPC times the click-through rate (CTR), and multiplying that by one thousand. (Represented by: (CPC x CTR) x 1000 = eCPM.). There are two banners: “Curious Apps” and “Sensor Apps”. The publishers earn $1 per click. Both banners were published for the duration of one week. “Curious Apps” was viewed by 5000 visitors from which 20 clicked on it. “Sensor Apps” was viewed by 5000 visitors from which 70 clicked on it. What is Video Ad Networks? Video Ad Networks are Ad Networks that specifically sell online video inventory across multiple platforms and devices. These Ad Networks focus online video ads which mostly display before the main video is played also known as “Display video Ads” online video advertising comes in different forms: in-stream, out-stream, interactive, in-game and webpage based videos, creating video messaging before, during, and after consumers take in content on their mobile devices or desktop. Video advertising allows Internet marketers to engage their audience with engaging video ads in very effective ways. YouTube is the biggest video Advertising platform on the Internet while several other Ad Networks are also grabbing the share of the market. Video Ad Networks also use CPC and CPM methods for video advertising. What is Banner Ad Networks? 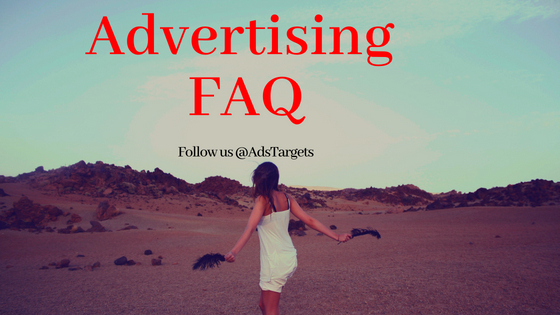 To answer this we first have to understand what is banner advertising. Banner advertising refers to the use of a rectangular graphic display that comes in various forms and places on top, bottom or sides of a web-page. 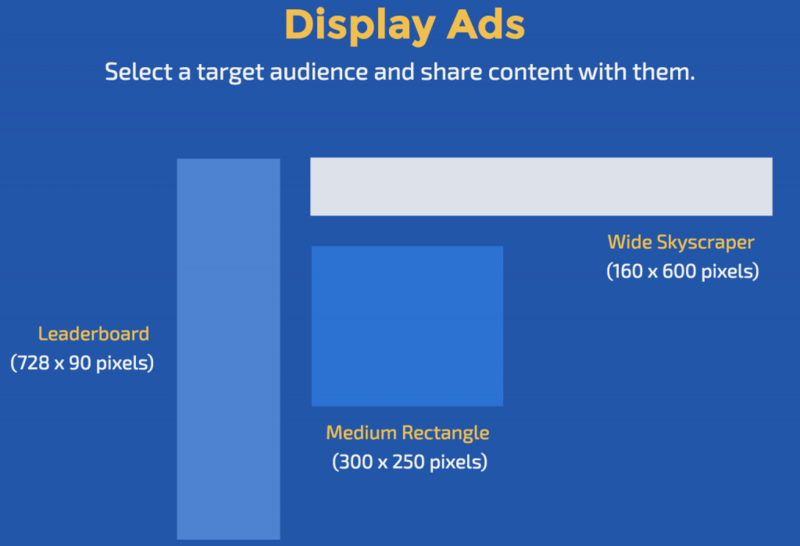 Now that you understand what is banner advertising, let’s jump into Banner Ad Networks: these are Ad networks that include banners in their Ad units. Publishers or advertisers will be able to place ads in various banner sizes and formats of their choices while publishers also will be able to monetize with various banner sizes and formats from such Ad Networks. Many Ad Networks have banner advertising as part of their Ad units and ad inventory. What is Native Ad Networks? First let’s look at what is native advertising: I would make this simple for you to understand, Native advertising is simply placing Ads on the platforms that match the content of the Ads. Thus, putting ads on content that matches the ads with the intent to target a specific audience. A typical example of this may display video ads on videos that are related to the ad video or putting sports equipment ads on sports blogs or advertising new cars on car review YouTube channels or car review websites and blogs. What is Ad Exchange Networks? Lets simply put it as an advertising technology designed to enable the selling and buying of media advertising inventory across multiple Ad Networks. Ad Exchange platforms use a bidding pricing system. This process is entirely technology driven. Some of the most popular Ad exchanges are AppNexus, AOL‘s Marketplace, Microsoft Ad exchange, OpenX, Rubicon Project Exchange, DoubleClick, and Smaato among many others. What is Interstitial Advertising Networks? It will be better to understand what is an Interstitial Ad before moving to Interstitial Ad Network. Interstitial Ads also know as the full-screen Ads are ads that cover your screen either on mobile or desktop as soon as you reach a webpage or open an App on your mobile device. These ads are most common in Apps. they are shown mostly between activities or some minutes after interacting with the App. Now that you understand what is an Interstitial Ad, let us define Interstitial Ad Network: These are specific Ad Networks that deal with interstitial ads as part of their Ad inventory. A lot of Ad Networks are beginning to offer advertisers and publishers the opportunity to advertise and monetize with interstitial Ads. How do I know my Advertising Cost and ROI? These are some of the most asked questions by newbies in the advertising industry. we understand there more than a hundred questions that needed answers but can’t put all of them here in this list. however, we will be happy to know from you which questions you would want us to answer and add to this list. let us know your suggestions in the comment section below.